Could these Graphic Revision Guides make English Literature accessible to your dyslexic students? English literature in itself is not about reading, but rather it is about forming a deeper understanding of a novel and being able to make connections and judgements based on this understanding. But how can one form an understanding of a novel without reading it? The answer lies with Graphic Revision Guides. Brilliant Publications has produced Graphic Revision Guides for a number of texts studied at GCSE English Literature, including: Jane Eyre, Jekyll and Hyde, Pride and Prejudice and Great Expectations. The Graphic Revision Guides contain comic-style sheets, especially tailored to strengthen the student’s understanding of plot, characters, quotes, themes, and more. Learning and revising these iconic novels will become an easier and more enjoyable experience, not least because there is less text for your students to muddle through. It should be noted however that the Graphic Revision Guides do still contain some text, so they may not be suitable for students with acute dyslexia – visit the links above to see sample pages and have a look for yourself. You can order any of the above Graphic Revision Guides for £16.50 as a printed book, £10.99 as an e-book or both for a discounted price of £19.80. There is a discount of 20% if you wish to order class sets of 20 or more. 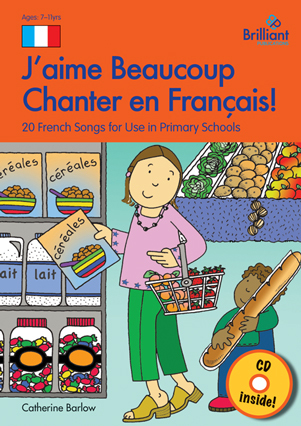 Get your pupils writing French phrases!